The song is 3:30 long and wastes no time. Its a typical pop verse-chorus form in 4/4. And lucky for us, it even has its own wiki where they inform us that the song is in fact modal (Bb mixolydian mode). The wiki also claims the song uses a straight chord progression throughout, minus the bridge – I sort of agree with this but I’ll get more into that in a minute. I broke this song up into terms that make sense to me. For those of you more musically inclined than me, just translate, you’ll get it. One particularly interesting thing here is, for what I call the chorus, its not really lyrical which is different that 90% of the pop songs you’ll hear out there. Remember folks, C for Chorus, I for intro, V for verse, O for outro, and B for Bridge. The number following a letter indicates a subtext, so like V1 means Verse number 1 whereas V2 means Verse 2. Numbers in parenthesis dictate the number of bars for the part. Basically the chorus is the part where we have the vocal stab firing, we have an extra layer of strings, and a busier lead piano. The verse is where Moby is singing. Breaks and the other parts where any part that clearly didn’t fit into the two primary categories. There’s no relationship between the breaks, each one is mildly unique in how its applied to the song. Typical to many songs you hear on the radio, there’s a subtle increase in energy as the song progresses. And moby employs a handful of tricks to get a seemingly straight forward harmonic progression to remain interesting. The intro can really be broken up into 3 parts out of the 8 bars it occupies. There are 2 bars of more or less just the reverse strings (the theme riff that plays throughout most of the time). After 2 bars of that, drums come in, but only half way. Now we’re 4 bars in and the shaker pops in. Moby rocks out for another 4 bars and voila… chorus. As we embark on chorus 1 we instantly are greeted with the bass, a top layer of strings, and our sweet vocal stab. The piano is playing a lead melody here too, but it does it in a way such that it weaves in and our with the vocal stab. They rarely play at the same time, its more of a call and response, with the vocal calling, and the piano responding. The piano works with this way with Moby’s singing in the verses somewhat too. Now remember above when I was talking about the 4 chord progression running throughout the whole song? Well, this part certainly follows the four chord progression, sort of, but not really. If we look at the parts of the song carrying the harmony in this section, we’ve got 3 main things going on (as I see it). There’s the theme sample (reversed strings), that’s the 4 chords. The bass is alternating in a binary patterns (so its playing two notes, more or less). And the strings, this is where things get interesting. The strings are done in such a way that this ends up being more than simply four chords endlessly repeating. Per four bar section (that would break the chorus up into 2 sections), each of the four chords explores a couple of harmonies where the strings are moving in a way to create two chords per bar. Now on the second half of our 8 bar chorus, the final harmony that is struck is slightly different and is what establishes the transition between the chorus and the verse (you know, like a cadence, but maybe not that obvious). Its this use of the strings that makes the chorus part seem harmonically different from the verse, and that subtle chord change at the end that makes the verse and chorus really feel like different parts. In this section the big strings and the vocal stab back out and moby sings. Note that this verse is twice as long as any other part in the song. This adhere’s to the more strict ‘4 chord progression’ as stated on the wiki page. Two production details to note about this. 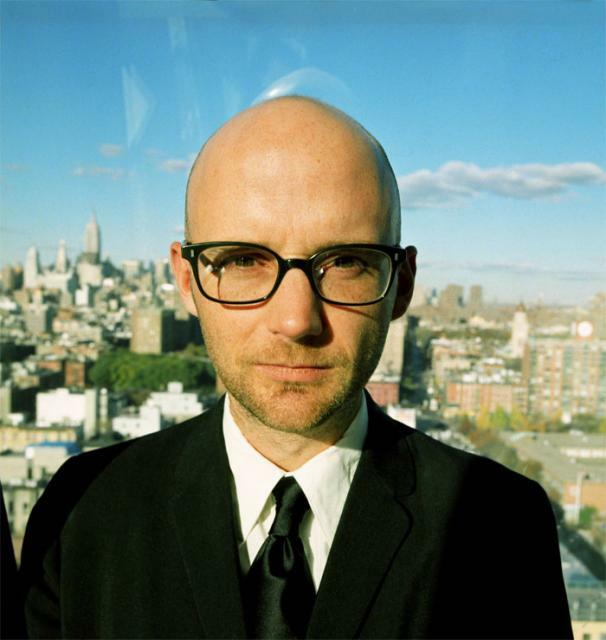 First, all of Moby’s vocals are run in parallel with some sort of delayed effect. Maybe that’s a harmony part, its difficult for me to tell specifically what he’s doing, but its something. The second, the end of the first verse has a quarter measure or so rest. This rest is what allows it to go back to the chorus, which starts on a chord that the verse also starts on, but also helps keep the incoming chorus feel fresh and new. Really this is more or less the same as the first chorus. There’s probably some subtlety here that I’m missing, c’est la vie. Really this is one break, but there are two distinct components two it so I broke them apart. The first is a drum and vocal part that happens after the second chorus. It features moby as well as the vocal stabs. The drums drop out half way through the 4th measure and then bridge 2 begins. Bridge 2 features a unique chord progression for the song. This is the only time that, while the bass is playing, it is also playing something different. This section includes a female vocal that is quite lovely. The chord progression ends on a harmony that resolves nicely in the second verse. This is half the length of the original verse and isn’t quite as vocally heavy. What’s new here is now we have additional piano chords playing that pick up the pace of the track quite well. Unlike the rest in the first verse, this verse sort of fades out, and bridge 3 begins. Bridge three is fairly empty. There’s a low string playing, a vocal sample, and a piano. The drums have fully dropped out here (unlike the previous bridges). The strings come in ever so slightly ahead of the third chorus. The third chorus maintains the additional piano chords from the second verse. In addition there’s an airy floaty lead synth playing over the 3rd chorus. The third chorus also sort of fades into nothing. On first glance, this might seem weird at 9 bars. But the first bar is more or less silence. The tail of the third chorus, and a little into the outro. Then the outro happens where we more or less feature our theme riff and keep going. The main theme plays throughout most of the track, but not all of it. Its absent from the three bridge parts, but that’s it. Its only really featured in the intro/outro, and chorus. During the verse it doesn’t stick out as much due to the string part. The drums don’t really do any fills. Once the main beat is established it sort of carries throughout the entire track. It feels like a 4 bar or so drum loop. To keep things interesting, every other backbeat hit, there’s a perc hit. Also on the 3rdish measure (maybe the fourth, ok folks, i forgot.. but its there), there’s a little extra snare work. Although I sort of grew to hate Moby toward the late 90’s (what’s that song he did with Gwen Stefani again?) Play is and always has been one of my favorite albums. Porcelain is a great example of applying pop cliches to electronic music and achieving something different than everything else on the radio. From a more or less lyricless chorus, to a structure that plays with our normal ideas of where verses and choruses need to go, I think Moby did a good job with this one. Furthermore, Moby applied the theme really well to this song and does well to establish a very solid foundation and maintain interest.